IP Result of anti-MAT2A (IP:55309-1-AP, 4ug; Detection:55309-1-AP 1:500) with HepG2 cells lysate 3200ug. MAT2A, also named as AMS2, MATA2 and AdoMet synthase 2, belongs to the AdoMet synthase family. It catalyzes the formation of S-adenosylmethionine from methionine and ATP. 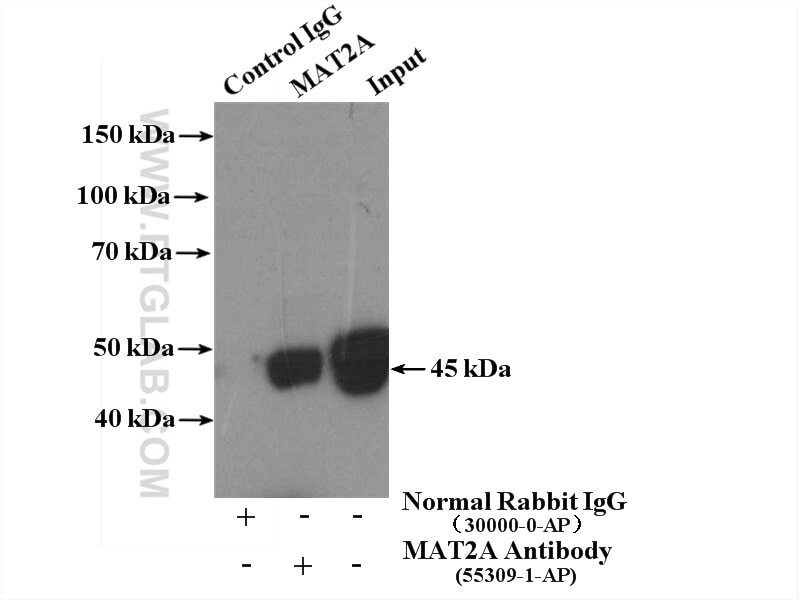 This antibody is specific to MATA2. Ligustrazine modulates renal cysteine biosynthesis in rats exposed to cadmium.